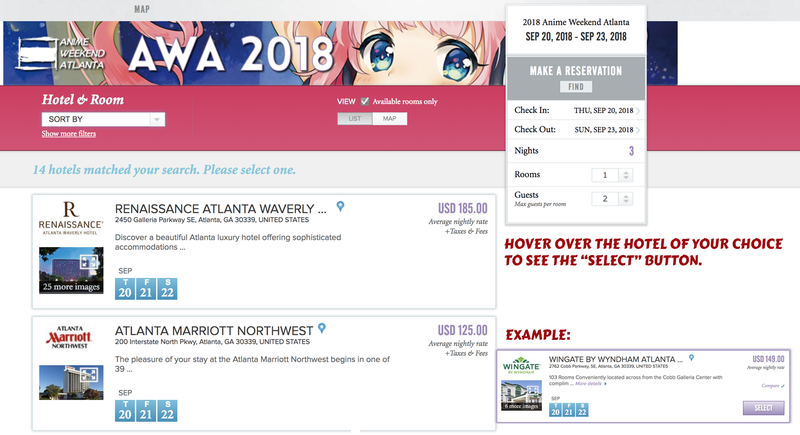 For 2018, Anime Weekend Atlanta is using a new hotel booking system through Connections Housing. No more will you have to sit on the Renaissance’s website constantly refreshing until 8am! No longer will you have to flip through all of the hotel offerings searching for an open space – our new system does all of that for you! 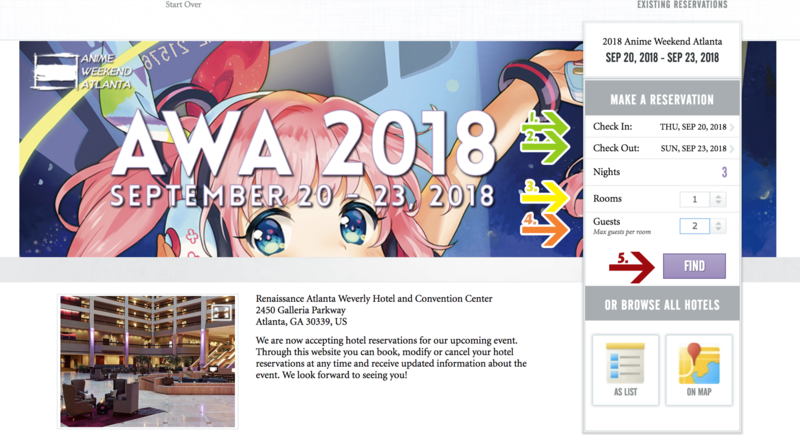 The Hotel booking system will open Feb 5th, 2018 9am EST. You will not be able to go around this system to book at the Renaissance, Embassy Suites, or Sheraton. Your reservation may be erased if you attempt to book directly through the hotel. 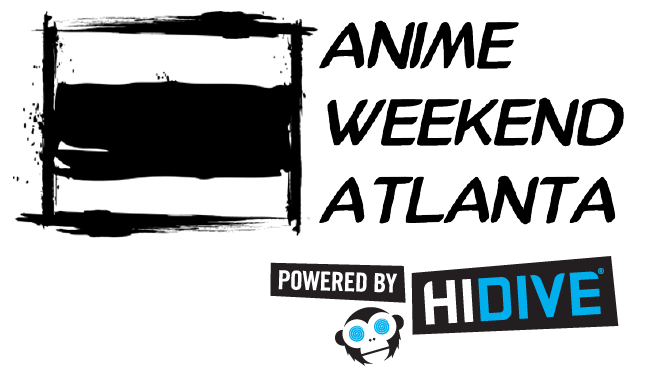 You will need a credit card valid through September 2018 to book, or you must call404-842-0000 to book. There are a limited amount of doubles at each hotel and they will be assigned in order of booking time NOT when you check in. You can only reserve 2 rooms in your name to start, but the second room must be changed to another name within 2 weeks or the second reservation will be cancelled. Anyone with more than one room in their name after 2 weeks will have the second cancelled without warning or email. The Renaissance will not charge a deposit. You will be charged a cancellation fee after September 1st if you must cancel your reservation. Cancellation policy and deposits for other hotels will be posted on the site before it goes up. Please do not open the booking page in multiple tabs. Parking at the Renaissance and Galleria will be $5 for each time you go in and out, so please plan accordingly. 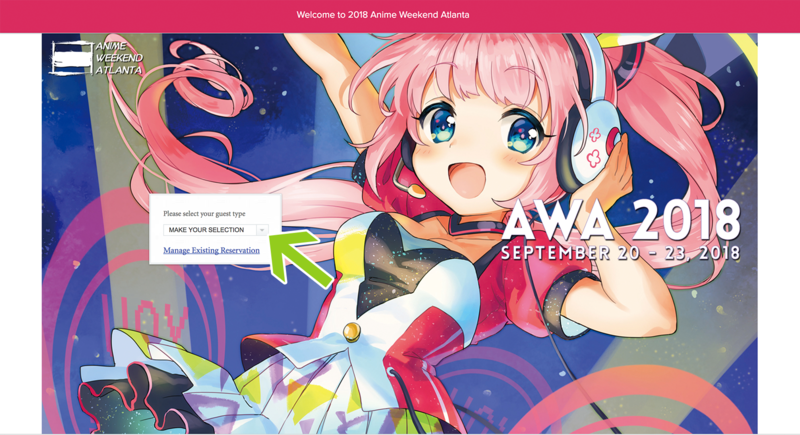 To start, click the dropdown arrow next to the “Make Your Selection” box, and click “Attendee. You will automatically be taken to the next page. Input your hotel stay information. Arrow 3: Number of rooms you are looking for. 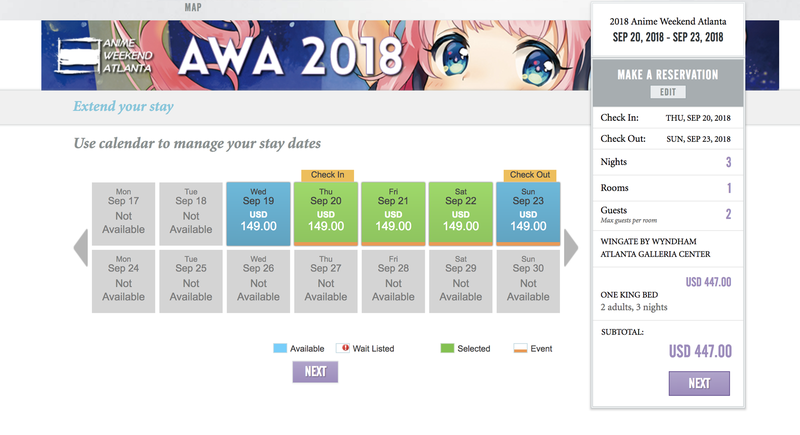 Please note, you can reserve 2 rooms in your name to start, but the name on the second room must be changed to another name within 2 weeks or the second reservation will be cancelled. Anyone with more than one room in their name after 2 weeks will have the second cancelled without warning or email. So don’t try to cheat! Arrow 4: Number of guests per room. Numbers input above 4 will limit the number of hotels that show up as an option to you (for instance, the Renaissance only allows 4 guests per room). 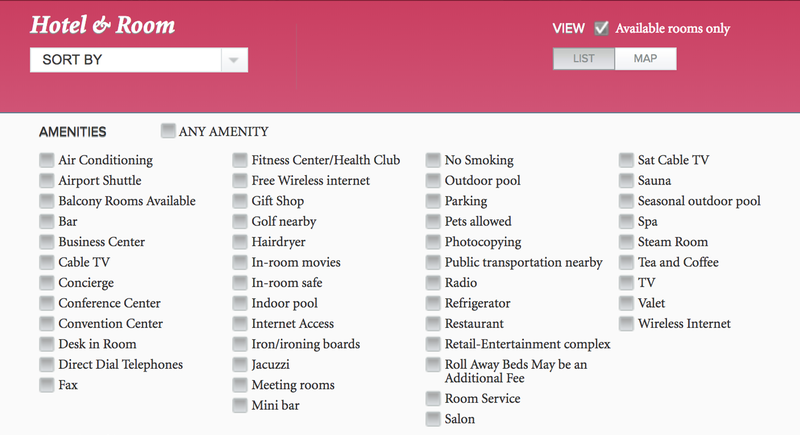 This page shows you the hotel options that match the criteria you have previously input. From here, you can further filter out the results based on amenities (example pictured below) or just choose the hotel you want and continue in the booking process. 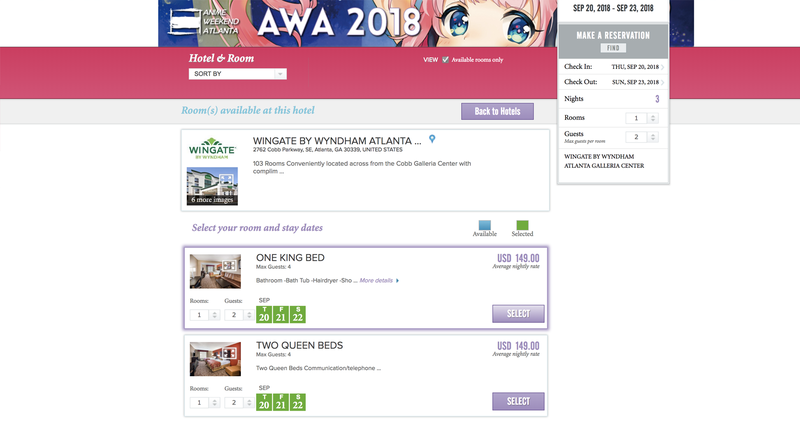 You can now choose your room type. The Renaissance only has a limited number of doubles available. These doubles will be assigned in order of booking time NOT when you check in. Confirm you have selected the right number of days for your stay. At this point if you’ve marked something incorrectly, you can add or subtract days from your reservation. Press “Next” to continue in the process. Fill in your personal information when prompted. 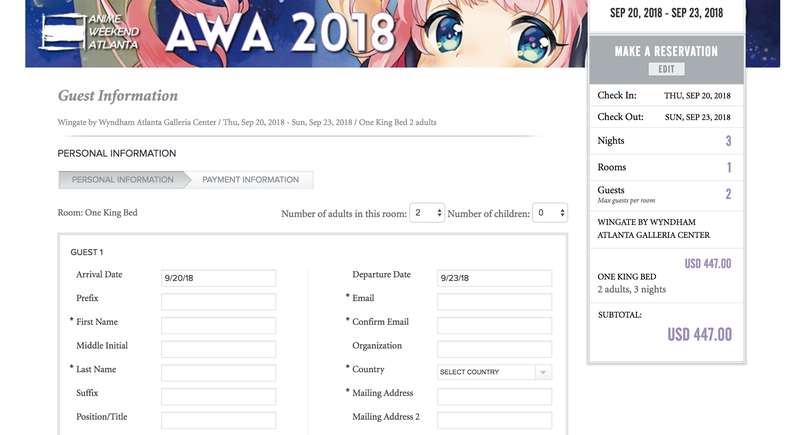 Your payment information will be requested on the final page for booking.